Mother’s Day will be here before we know it and it’s time to start thinking about gift ideas. Invitation Consultants has a fantastic selection of personalized Mother’s Day gifts that I know my mom would love. 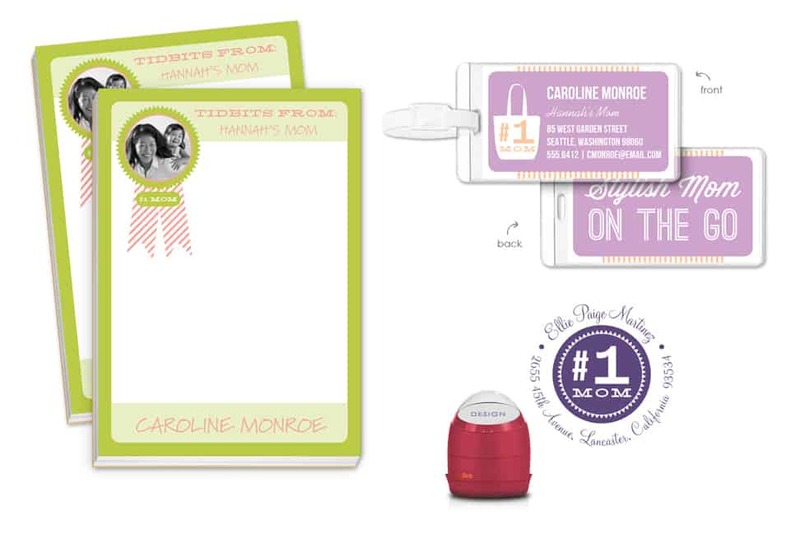 Check out their collection of personalized luggage tags, notepads, stamps and stationery and find something special for your mom, aunt, grandma, etc. I like the Purple Damask Notes . The Cupcake Recipe Card looks very nice!